Scott Kay, an industry leader in bridal jewelry, and master craftsman of luxurious wedding ring designs is known for creating dazzling diamond treasures to last the tests of time. Uniquely beautiful, radiating light, this Scott Kay semi mount is the perfect choice for your ultra modern bride-to-be. Scott Kay evokes posh, modern curves that showcase dazzling array of baguette diamonds, 1.01TDW. Weighted with the strength of shining platinum, this fashionable engagement ring will perfectly compliment the va-va-voom of your hand-selected center stone. (Sold Separately.) 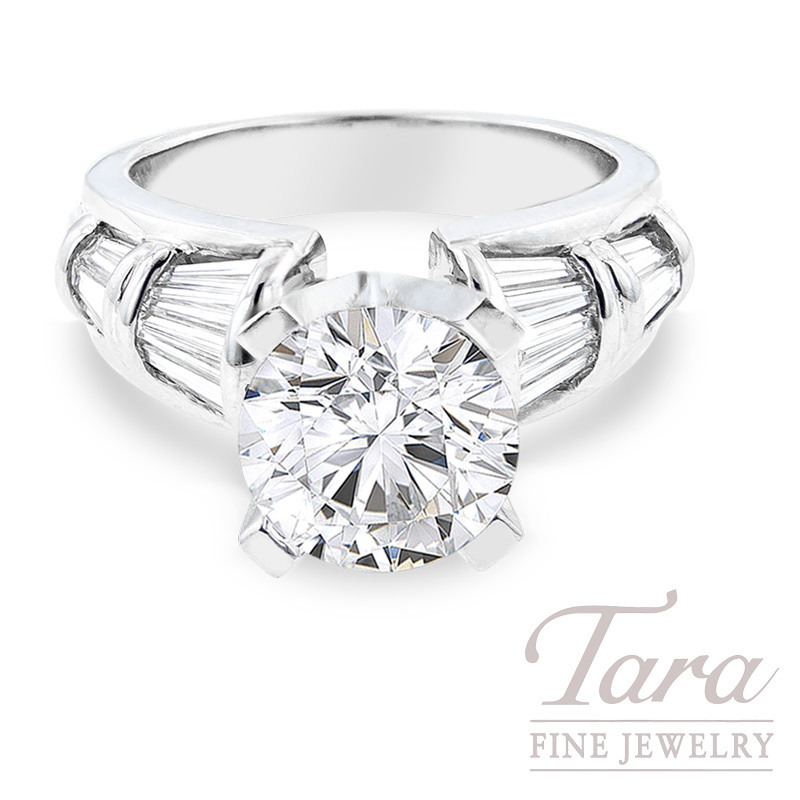 Come in to Tara Fine Jewelry Company, your Atlanta jeweler for the latest bridal designs by Scott Kay, Tacori, Forevermark and Simon G.